Remains a best seller and has been published in six different languages and is consistently rated with 5 stars on amazon.com. 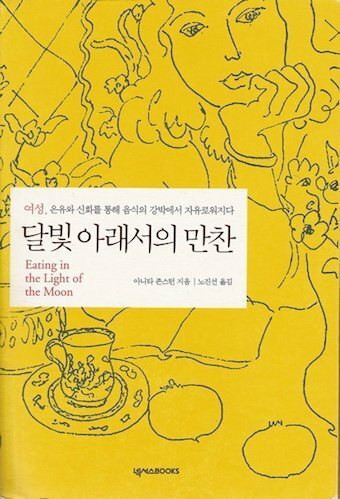 “Eating in the Light of the Moon” is hands down the best book on disordered eating I have yet to read, because it sheds light on the painful struggle with uplifting, inspiring storytelling. Johnston’s soft, delicate voice will weave you through tales of distant lands which somehow bring you to the shore of self-discovery. This book does use psychology as the basis for its generalizations, but I never found it to be too preachy. Like saying good-bye to your favorite characters at the end of a novel, you will not want this story to end. 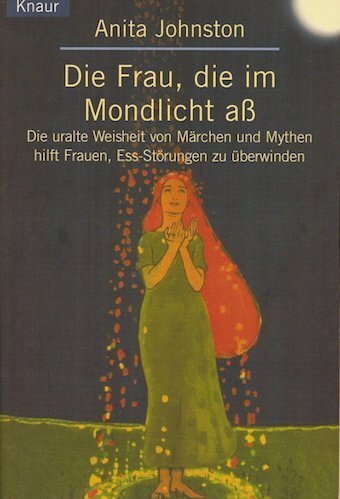 It is one giant affirmation, and I recommend it especially to women who long to reclaim their hidden or lost feminine. Beautifully written. This is by far the best book I have read on the topic of eating disorders. Johnston really digs deep and illuminates the core underlying issues typically involved with eating disorders. I urge everyone to read this, because although the topic is focused on eating disorders, it truly can be helpful for anyone dealing with any kind of addiction. This book emphasizes the importance of honoring your emotions, rather than suppressing them. When we decide to accept and embrace our true nature, a let go of all of the limiting societal constructs and ideals, we can finally set ourselves free. We must journey inward and face all of the pain that we have been suppressing, before we can ever truly heal. Johnston’s book spirals deeply into the core issues that any woman coping with disordered eating would want to address, and she does it with a gentle, patient, and encouraging spirit. Her work uses myth, allegory and storytelling as a way of looking at the deep-seated issues of what it means to be a woman in today’s culture and how that affects our relationships with food. This is definitely not a diet or how-to book. It is lyrical, poetic and spiritual, but remains eminently practical. Johnston transcends the standard medical view of disordered eating as a purely physical problem and incorporates woman’s mind, body and spirit in her work. 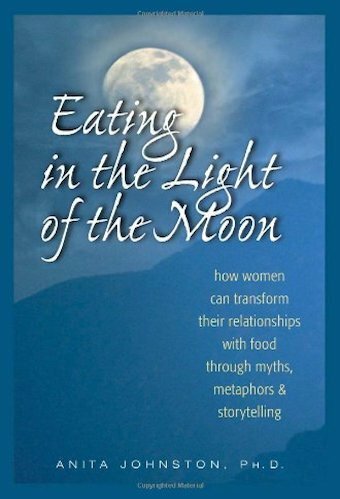 Johnston integrates feminine spirituality and feminism with basic healthy living practices and presents options that those of us who have struggled with food may not have considered before. As a recovered bulimic, I can vouch for the efficacy of her approach, and I fervently wish that everyone who has struggled with food and eating issues would read this book. A therapist recommended this book to me. I honestly had a difficult time going through the first few pages because this book really hits the heart like no other. It’s as if she knows what’s going on in my head. 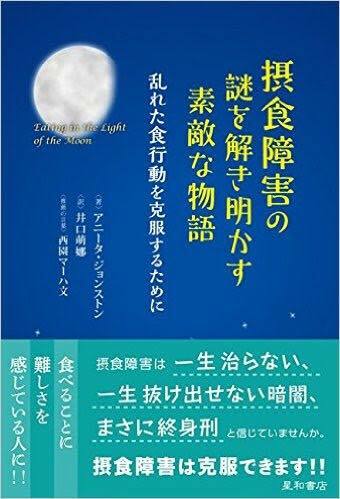 Of course, it’s not to overgeneralize…yet at the same time, this book is something I feel is necessary for me right now. As I mentioned in the title, it touches a VERY sensitive part of the heart. I don’t want to even look at it, I don’t want to deal with it, and I don’t want to keep crying when I think about it. At the same time, this book will politely beckon me to do so – so I can face it, deal with it, and accept it. I highly recommend for those who experience challenging, almost destructive, relationships with food & body image. I am still on the journey – and I can’t read too many pages at once. Sometimes, I just end up breaking down inside and out. If you’re looking for a book that just tells you how to not have eating disorder symptoms, this is not the book for you! This book is for those who are looking for healing–TRUE, DEEP, REAL HEALING. I read this book in less than a day. Now I’m going back through it more slowly to take it all in. This is the first eating disorder book I have read (and I have read MANY) that talks about healing from an eating disorder. It isn’t about whose symptoms are worse or yet another depressing memoir. This author uses metaphors, stories, analogies to reach your deeper psyche. It’s an enjoyable read, yet a deep read. Look at her website for an example called The Log (www.dranitajohnston.com). I can’t suggest this book enough. I was only in the first chapter when this book started opening my eyes. If you’e ready to read something like this, if you want to know the real reasons why you eat the way you do then this is the book for you. I obsess over every calorie that goes into my mouth, I think about food all the time, because I have to control it, or it will control me. Or so I thought. This book made me see that food and my relationship with it already controls me. In our society we are taught that there is only one ideal, one perfect body and yet less than 4% of women have that body and yet almost every one of us strives for it when it is impossible. Who tells us how we should look? Men. It’s not a male bashing book at all but you have to realize that we live in a male dominated society and everything and I do mean everything stems from that. As long as we let other people control our minds and how we feel about ourselves, our lives are not our own. 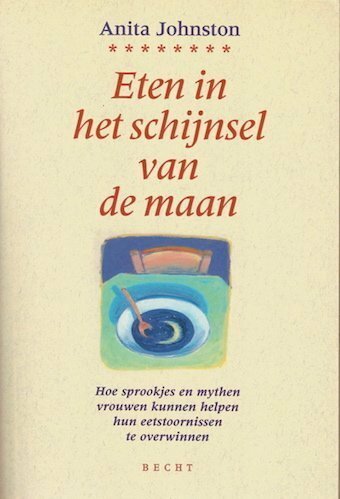 A powerful book, if you’re ready it will help you change your relationship with food.